Mortgage Lenders Can Shop Rates for You. After all the paperwork is taken care of, the mortgage lender will work on behalf of the borrower to find the best (lowest) mortgage rates available in Utah County. This is the key advantage of a mortgage broker. They have the ability to shop with numerous banks and lenders simultaneously to find the lowest rate and/or the best loan programs that may suite your needs. A mortgage lender typically has more flexibility than a bank. If you use a traditional retail bank, the loan officer can only offer loan programs and corresponding mortgage rates from a single bank. This is not always in your best interest. This is like shopping for a basketball and only going to walmart. You may find a better basketball by shopping throughout all of Utah County. Keep in mind that the number of banks and lenders a mortgage broker has access to will vary, as brokers must be approved to work with each individually. In other words, one mortgage broker may have access to Chase’s wholesale mortgage rates, while another may not. The more options the better. 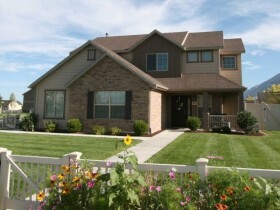 So ask the your Utah County broker for multiple quotes from as many lenders as possible.